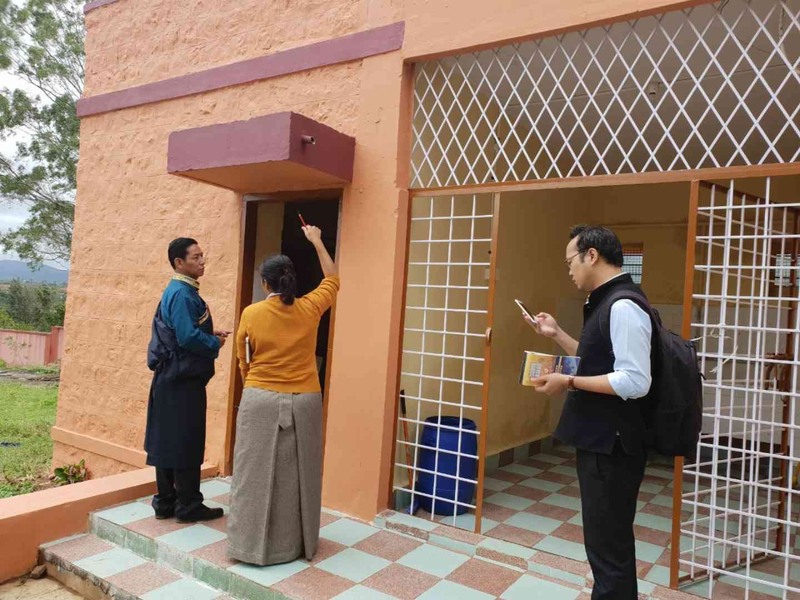 Kollegal: Secretary Karma Singey, Department of Education, CTA is on an official tour of the schools in Kollegal, Gurupura, Bylakuppe and Mundgod that were transferred to Sambhota Tibetan Schools Society (STSS) from Central Tibetan Schools Administration (CTSA) in May 2018. 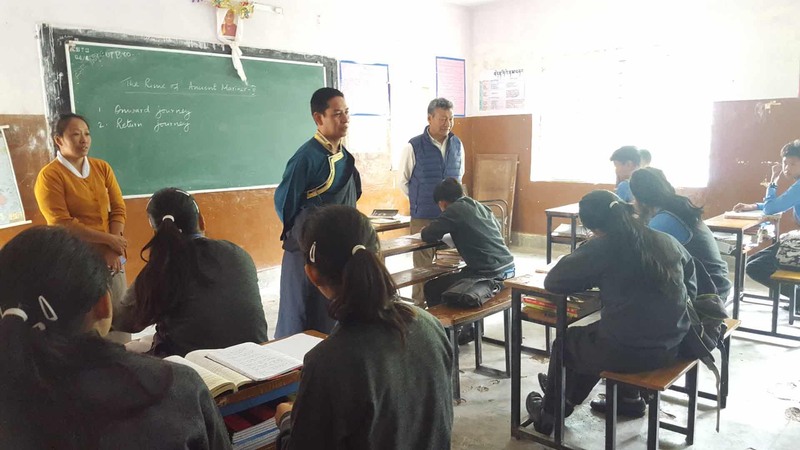 He is accompanied by Project Officer of the Education Department Dorjee Wangchuk. The main purpose of the visit is to observe and inspect the overall function of these schools and to review and assess the various project proposals submitted by the schools for funding assistance to USAID and other organizations. 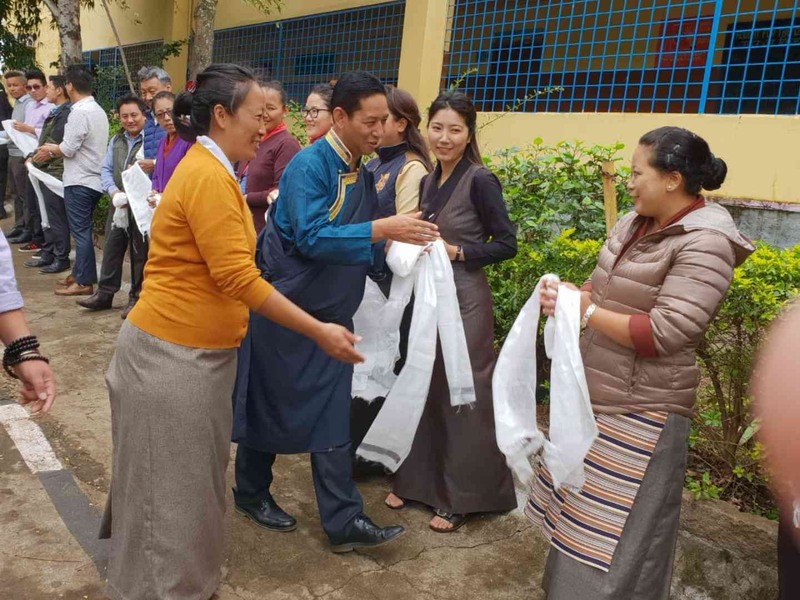 Upon his arrival at Kollegal on August 15th, he was received by the settlement officer Mr Thupten Tsering and School principal Ms Tenzin Jhesang. On the 16th morning, he visited SambhotaTibetan School, Kollegal where he was warmly welcomed by the school principal, teaching & non-teaching staffs, PTA members and the school captains. Secretary Karma Singeyobserved the school’s morning assembly program followed by a visit to the classes and interaction with students, teachers and PTA members. He also visited three pre-primary schools and met with the children and teachers. In the afternoon, while addressing the students, he spoke about the important twin goals of Tibetan schools in exile; that is imparting high-quality modern education and the preservation of Tibetan language and culture. 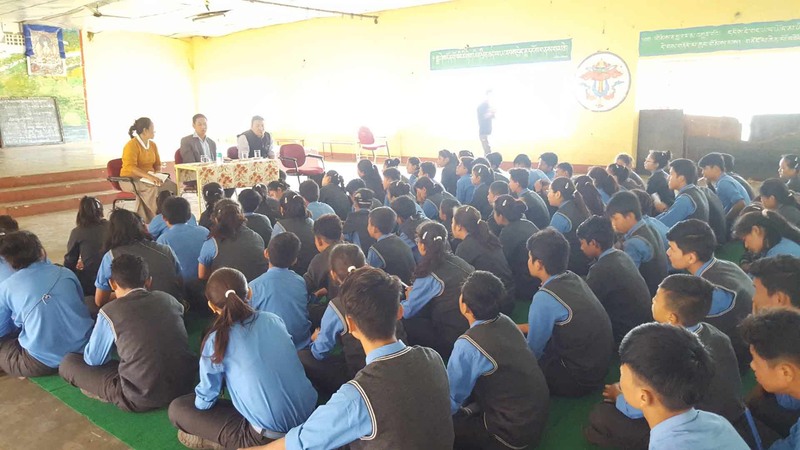 He advised the students that besides knowledge, it is equally necessary to have a good character and good health to become a successful person in one’s life. He inspired the students by telling the stories of some of the most successful students from the school as it has produced many professionals and graduates including doctors, engineer, lawyer, dentist and teachers. He also spoke about the importance of having a dream in one’s life. He also met with the teaching & non-teaching staffs and PTA members and talked to them about the importance of the teacher’s role in shaping the life of students. Further, he reminded that it is the responsibility of all stakeholders to ensure that the school is being managed efficiently and effectively in both academic and administrative field. He also shared with them the various important programs of Education Department including basic education policy and secular ethics. Finally, he emphasized the importance of collaboration and participation of Parent Teacher Association (PTA) members in the overall development of school and appreciated them for the various facilities they have extended to the newly arrived teachers and staffs of the school. On August 17th morning, Secretary addressed the gathering of the Tibetan settlers in the Community hall where he spoke on the important issues like role of parents in the education of the children, preservation of Tibetan language, parental counseling,declining of Tibetan students enrollment across Tibetan schools in India and Nepal and CTA’s five fifty vision and its relevant projects in exile. He also spoke about the recent transfer of eight CTSA schools to STSS. Secretary and project officer are scheduled to visit Tibetan Schools in Gurupura, Bylakuppe and Mundgod in the following days.